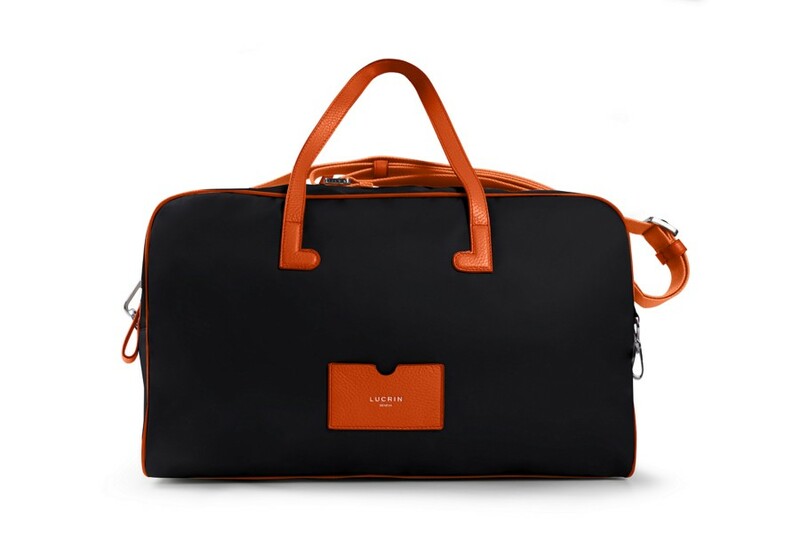 This gorgeous travel bag in nylon and leather, by Lucrin, will quickly become your ideal companion for travelling. 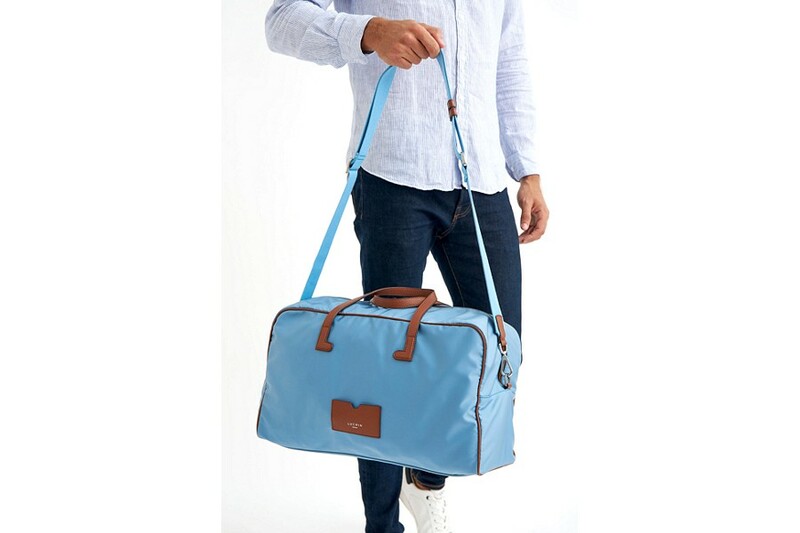 A multifunctional bag; suitable as your cabin luggage, as a gym bag or for short weekend getaways with your better half. 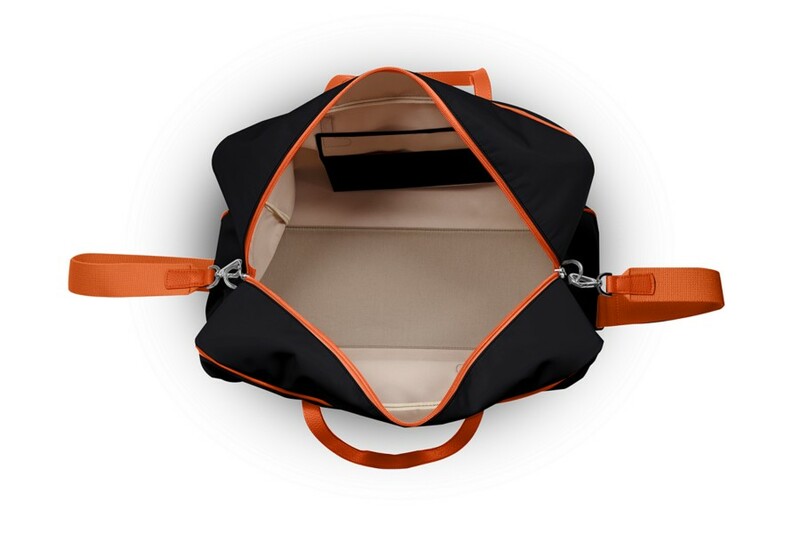 Light but sturdy, this bag has a large capacity, making it perfect for short and lengthy stays. The leather handles and the long central zipper in contrasting colors are cheerful additions to this bag. 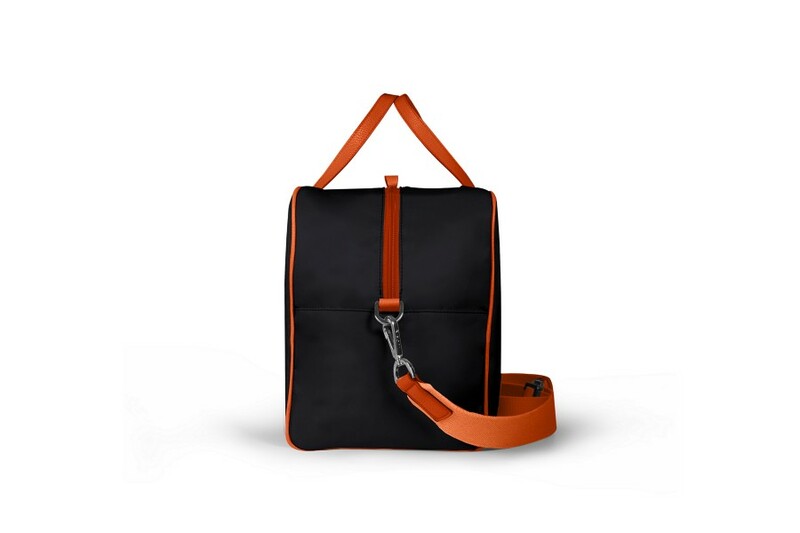 Delivered with a removable and adjustable cotton shoulder strap, carrying the bag is easier and more comfortable! This beautiful bag with a contemporary design is available in sumptuous classic and funky colors; pick the perfect bag for you. Customize it by choosing the color of the stitchings or by engraving your name, for example.